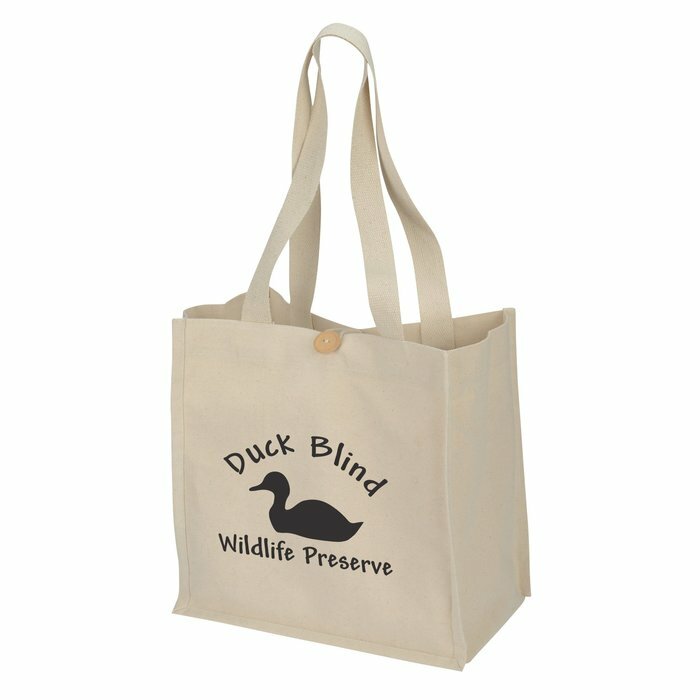 Use these custom totes for grocery shopping! Reusable totes are a great alternative to plastic grocery bags. These durable totes are made out of 10-oz cotton. Designed with dual 26" cotton twill handles and a wooden button closure. Perfect for daily use, a purse alternative, shopping and more! Size: 13" x 13" x 8". Your price includes a one color imprint on front of the bag.